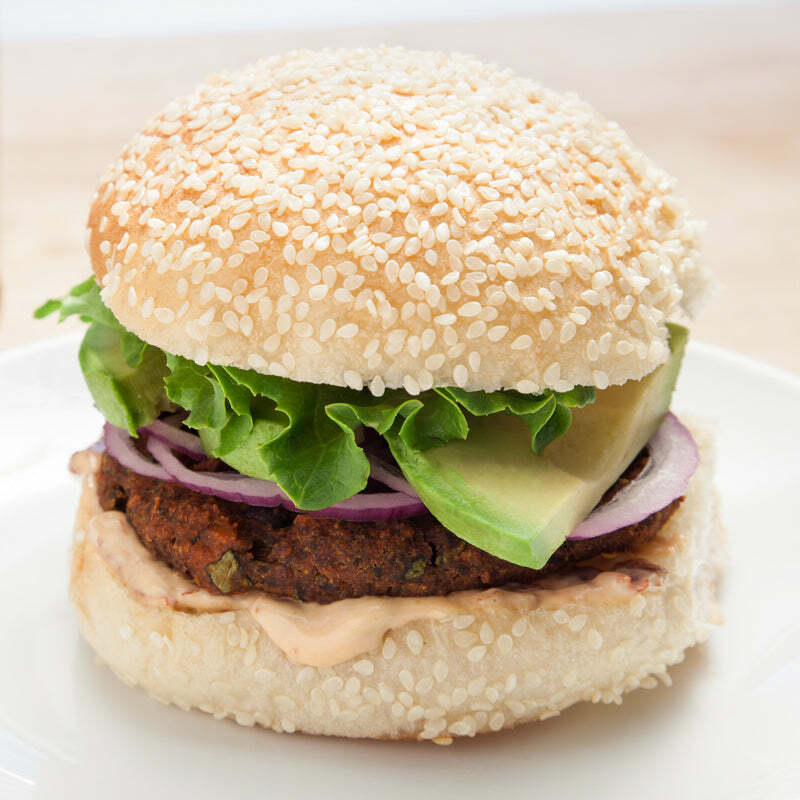 These veggie burgers get a dose of protein from both the black beans and The Heat Is On peanut butter pureed into the patty mixture. Mixed with mashed sweet potato and an assortment of spices, these southwestern-style burgers have lots of flavor and pair wonderfully with avocado, chipotle mayo, and even salsa! 2. Place half the black beans, peanut butter, onion, and garlic in a food processor and puree until smooth. 4. Stir in the remaining black beans. 5. Use an ice cream scoop to place the batter onto the prepared baking sheet (about 8 burgers per sheet), and press slightly with hands to form burger-shaped patties. Flatten patties with back of spoon. 6. Bake 20 minutes, then use a spatula to gently flip and bake for an additional 20-25 minutes or until golden and crisp around the edges. 7. Let cool on the pan for 5 minutes before serving. 8. Serve in buns with chipotle mayo, red onions, avocado slices, tomato, and lettuce. The post VIDEO RECIPE: Spicy Peanut Butter Black Bean Burger appeared first on - Peanut Butter & Co. Recipe Blog.